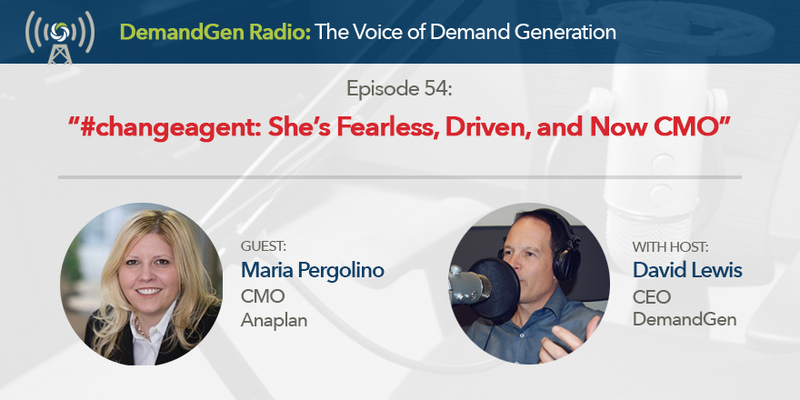 Leadership isn't anything new to Maria Pergolino, now CMO of Anaplan. She serves as an inbound marketing thought leader and inspiring mentor to many. She is fearless in her pursuit of engagement and refuses to be a follower. Maria shares her perspectives on the importance of being driven, fearless, and provides advice for young marketers including never be afraid to take the next step which has worked out for her time and time again.